﻿ WORLD JUNIORS 2018 Team Final – 5th straight for China! WORLD JUNIORS 2018 Team Final – 5th straight for China! 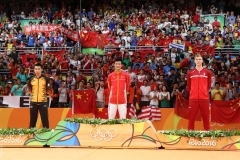 Team China lifted the Suhandinata Cup for the 5th straight time, beating Korea 3-1 in the final. The Suhandianta Cup, the mixed team trophy at the World Junior Championships, was the one team trophy that team China had never won five times in a row…until Saturday in Markham, Ontario. China completed its 5th Uber Cup in 1992 at the end of their first winning streak, and first completed a string of 5 Thomas Cups in 2012, and then took their 5th straight Sudirman Cup in 2013 during what would become a string of 6. The challengers in the final on Saturday were the Koreans. With their national body in turmoil at home, the youngsters in Canada quietly made their way into the team final for the first time since they last won the event in 2013. Last year, Korea had a conflict with a domestic event and sent only a tiny, inexperienced squad to Yogyakarta for the team competition and managed to make it to the semi-finals. This year, the heroine of that team, 16-year-old An Se Young, was busy in Norway, earning points on the senior circuit, while reigning girls’ doubles World Junior Champion Baek Ha Na has also skipped junior events in her last year of eligibility and was preoccupied with the first two Super 750 quarter-finals of her career, at the China Open. 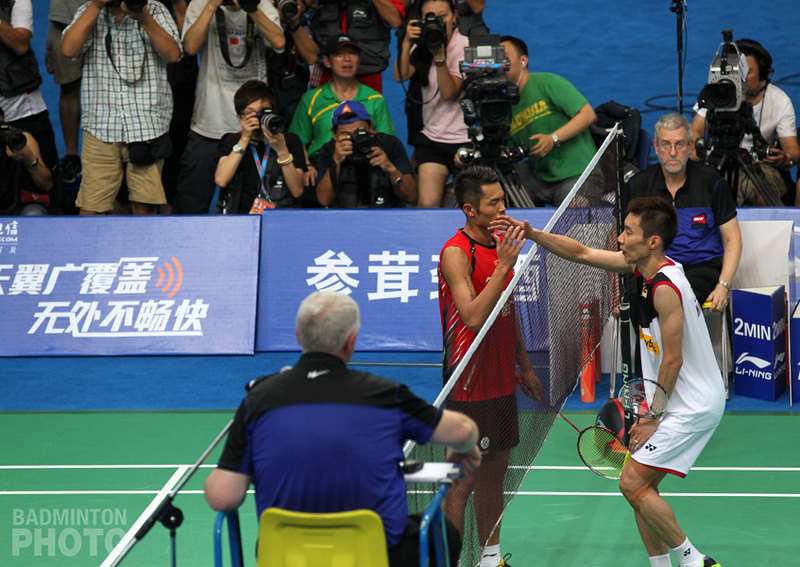 In the opening match, two-time Asian Junior Champions Di Zijian / Wang Chang were unable to match Korea’s Shin Tae Yang and Wang Chan (pictured above). Shin and Wang regrouped after dropping the first game and stamped their authority on the next two games to put Korea up 1-0. Wang Chan, who won the German Junior this year with a different partner, never got the chance for a rematch of his Asian Junior mixed doubles final. He will have to wait until the individual event to truly make a name for himself and stand above his similarly named Chinese opponent. In the second match, girls’ singles, China looked to a different Wang. 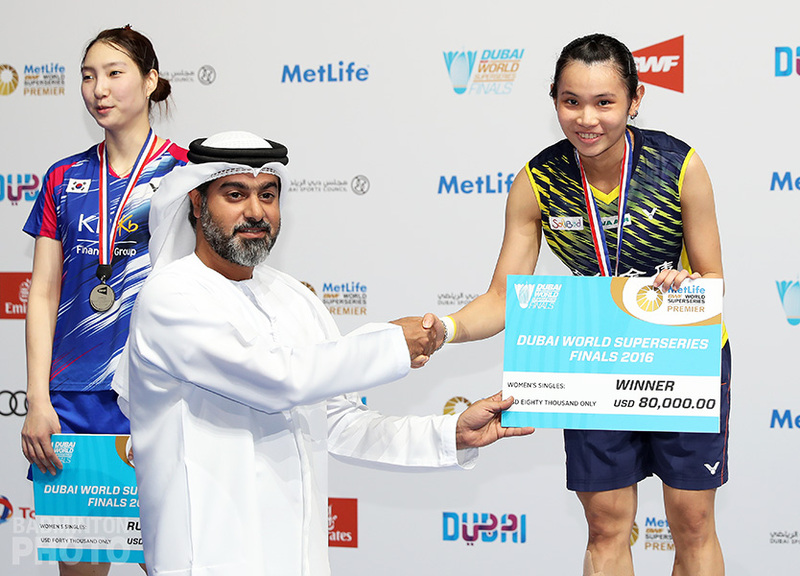 Wang Zhiyi (pictured left) had exhibited incredible nerves when she faced two match points in the semi-final, where losing would have meant conceding the entire tie to Japan. This time, Wang had to fight back again, after dropping the first game 21-23 to Park Ga Eun (pictured right). She had a much easier time of it than she had in the semis, though, as she was first convincing and then dominant in the next two games. 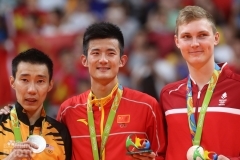 Youth Olympic boys’ singles gold medallist Li Shifeng was next up for China. Li had a little trouble in the second game when Korea’s Choi Ji Hoon saved two match points and sent the game to extra points. Li quickly settled his nerves, though, and took the game 22-20 to bring up the girls’ doubles. 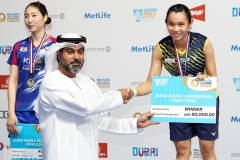 China’s Liu Xuanxuan and Xia Yuting (pictured below) are ranked #1 and #2 respectively in the world rankings for girls’ doubles but so far the major titles have eluded them. In Saturday’s final, though, they announced their intention to change that. Liu Xuanxuan in particular, has been getting some great experience, playing a few senior events in mixed doubles a year ago with the great Zhang Nan. 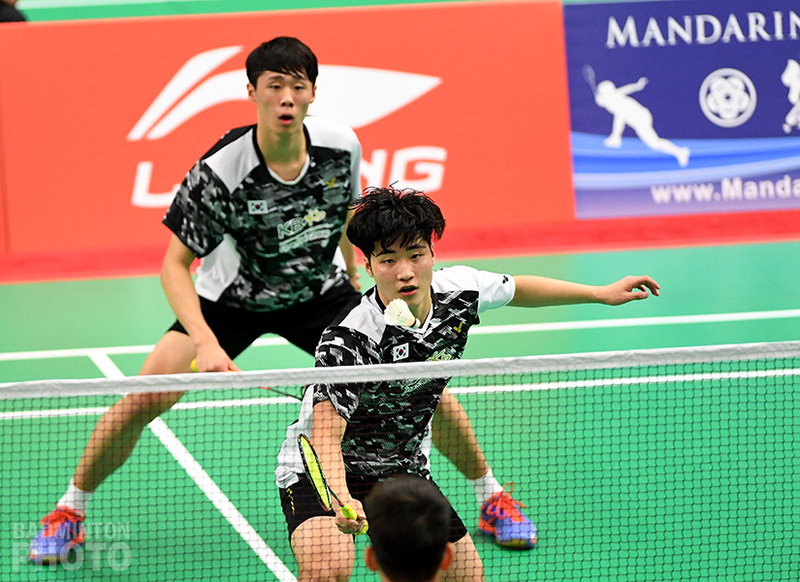 Their Korean opponents Jang Eung Seo and Lee Jung Hyun had beaten the reigning Asian Junior Champions in their semi-final tie against Indonesia. 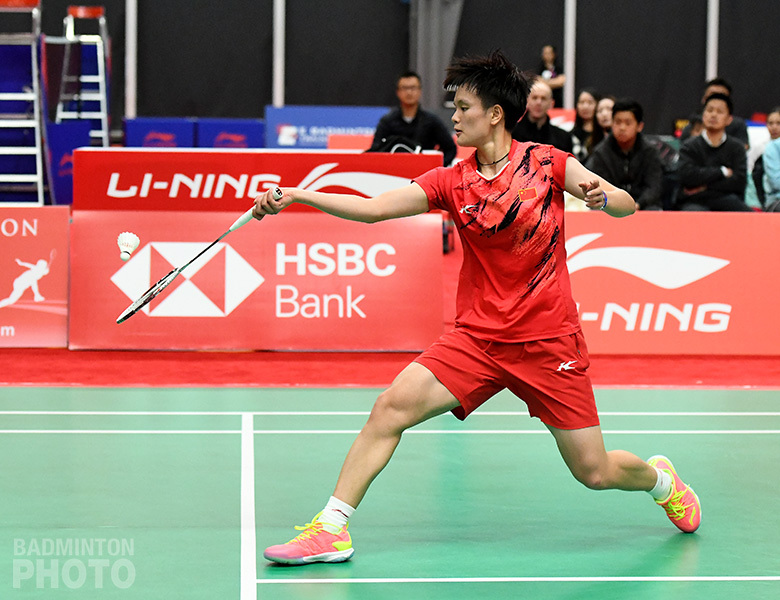 However, Liu and Xia, who had lost to the Indonesians at the Asian Juniors, had no trouble with the Koreans, staying comfortably ahead, as they had when they played the same pair at the Dutch Junior. The Chinese took it in straight games and celebrated a 5th straight title. 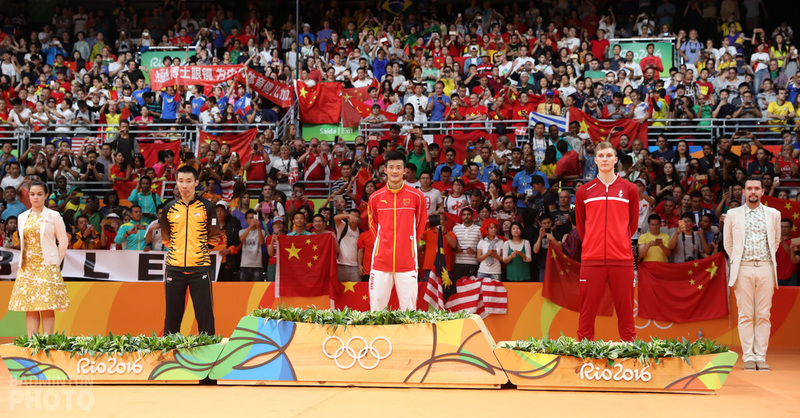 They now turn their attention to the individual event, where they will attempt to erase the memory of last year, where they failed to win a title for only the second time, the other occasion being in 2012, whereas in 2011, China did not send a team to the World Juniors. The closest tie on Saturday was Sweden beating England 3-2 for 14th spot. 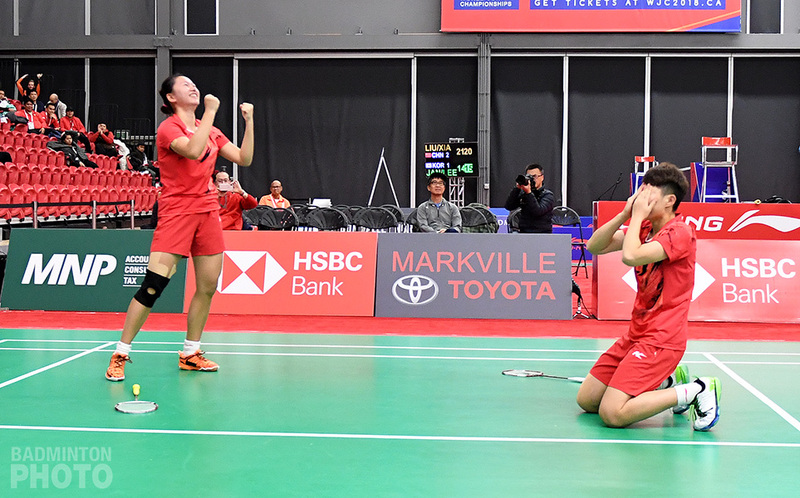 On Friday, Canada had beaten Pan Am rivals USA 3-1 to take hold of 17th spot in the final standings as Stanley Feng and Katie Ho-shue (pictured bottom) both capped off impressive weeks.